Among Native American Plateau people, women are important culture bearers, responsible for passing spiritual values from one generation to the next by many means, including manual art forms, stories, and songs. 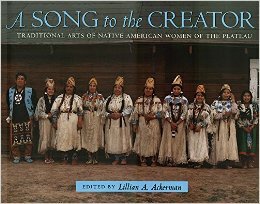 This book explores each of the Plateau arts by means of Native American legends and poems, articles by various scholars, and interviews with Native American women artists. University of Oklahoma Press, 1996.